Service access in our heavy duty trunking is provided by removable flush-fitting trunking covers. A range of accessory components allows the jointing and cornering of runs of duct to the required configuration. Why are trunking lids important? Trunking lids or covers provide easy access for servicing means that the protection of pipes or cabling does not need to compromise the ability to maintain your services. There is often a need to either view the contents or in some cases fix services. Failure to provide service access with lids can be a lengthy and costly process could be incurred to fix any problems within the trunking. If you have specific loading requirements for your trunking then we can look at the payload required in tonnes and work out the best-suited material. Our expertise in this field means that we will be able to give you good advice and ensure that your trunking lids can withstand whatever the future may hold. The fact that we can produce up to 12mm steel covers for heavy duty use sets us apart from off the shelf trunking suppliers. Our trunking lids are available in a wide range of materials. Pre-galvanised Steel – Pre-galvanized steel trunking covers typically give a better appearance than some steel alternatives such as hot dipped steel. Mild Steel – Our mild steel covers are available in thickness of 3mm to 12mm, depending on your specific needs. Stainless Steel – Stainless steel is particularly great for use in applications where the trunking lids may be more prone to corrosion. 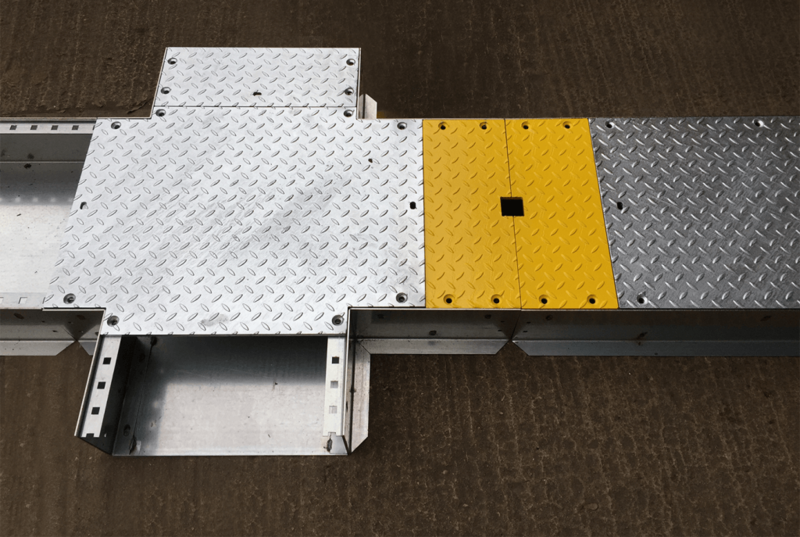 Chequer Plate – If the trunking is used in industrial environments, where it is likely to come into contact with tougher conditions, chequer plate materials can be used. 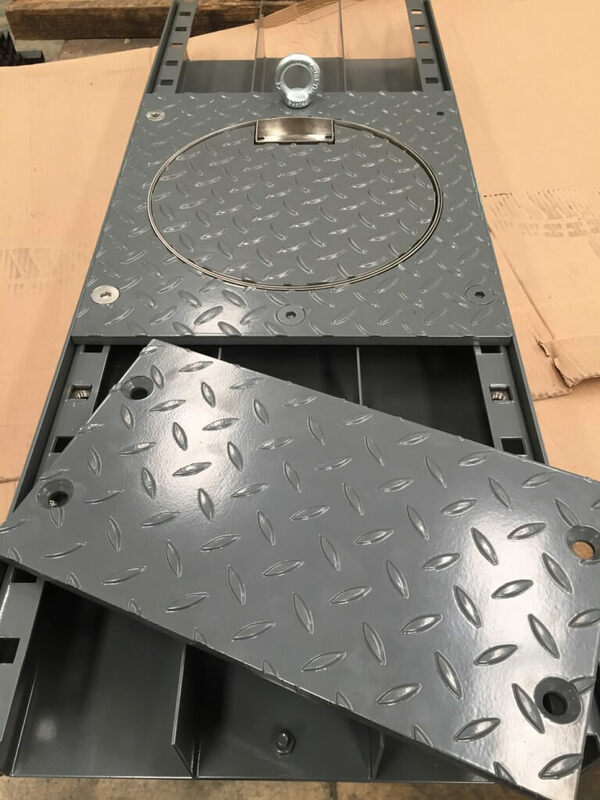 We supply both mild steel and aluminium Chequer Plate. The raised pattern on the metal helps prevent corrosion on the steel. Many of our previous projects have seen the benefit of our interchangeable trunking lids such as Northumberland College who used lids which could be interchanged in any position, future proofing the project, so no matter whether the usage of the space changes the access can fit the current needs. Some of the trunking lids had also been painted yellow to indicate cutouts for the cables to pass through. Read more here.